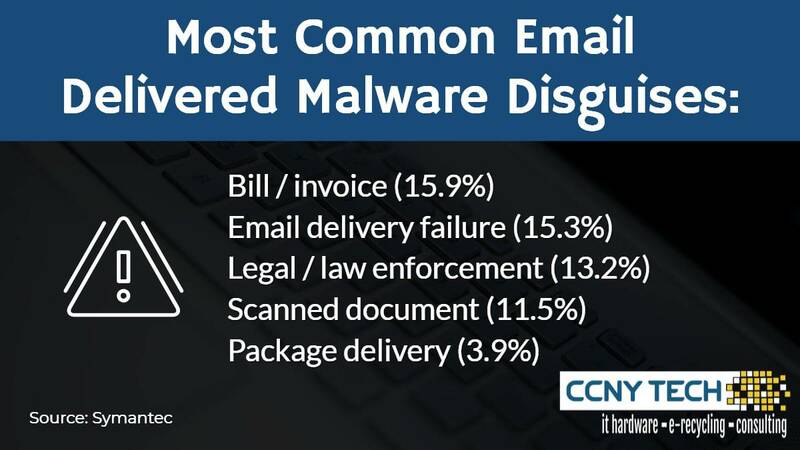 Fake invoices are the #1 disguise for distributing malware. Spam and phishing emails come packaged up in all sorts of disguises. According to Symantec’s 2018 Internet Security Threat Report, these are the most common when it comes to distributing malware. Malicious content in spam emails is increasing in the form of attachments and URLs. Malicious attachments and URLs attempt to deliver software that can compromise the security of a computer. 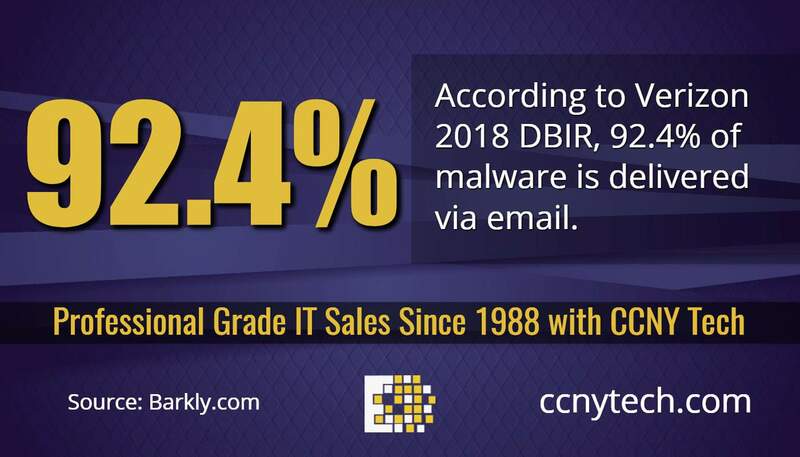 Inboxes are still constantly under attack – 92.4% of malware is delivered via email according to Verizon 2018 DBIR. With Halloween approaching tomorrow, it is an excellent time to take a look at the “Tricks” being played at the doorstep of IT Departments. 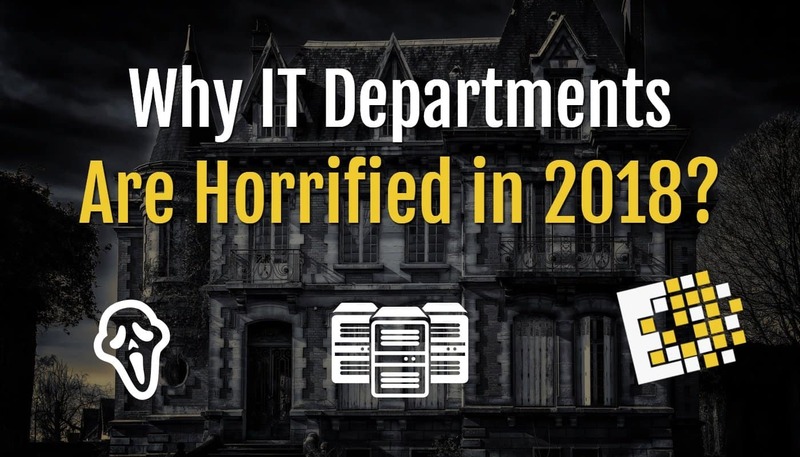 From more sophisticated cyber attacks to advances in job-killing technologies, 2018 has been a truly scary year for IT Departments. The Cloud has made Enterprise Infrastructure more available for startups, but it also brings with it a plethora of challenges. Cloud computing is fast to deploy and often a more affordable choice for business. However, with Cloud, it relies heavily on the technical capabilities and capacity of the Cloud Services Provider. As we all know, in technology there can be many points of failure that can slow or temporarily disable access. Couple that with today’s modern cyber hacking threats, a strong concern for data privacy, and the appropriate concern in putting so much trust for delivery in another companies hands, Cloud Computing is not an anxiety-free solution for most. 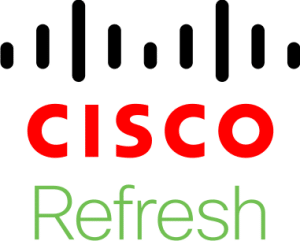 In addition, as local computers are being replaced with lower-resource “cloud clients,” the need for robust traditional IT support teams are in jeopardy. However, the upside is that the demand for people with coding, web and software development, and network security skills and experience are in high demand right now. Attempts to trick users into giving personal information spiked more than 500 percent from the first to second quarter of 2018, according to researchers at Proofpoint. Social engineering is increasingly the most popular way to launch email attacks, and criminals continue to find new ways to exploit the human factor. 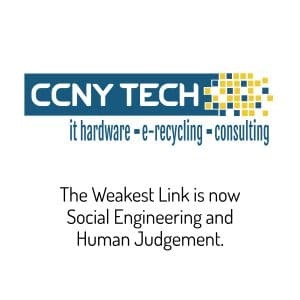 Typical network security solutions have become more robust and intelligent in recent years, so hackers and mal-intent actors have resorted to the next weakest link… The Human Factor. The responsibility for educating users to understand those threats is a new concern for IT Departments to keep their data and networks secure. The use of cryptocurrency, fake antivirus and browser plugins are responsible for the jump in attempts to manipulate users this year. Overall, the volume of email fraud that organizations receive has increased 87 percent year-over-year, and the threat of Ransomware has sky-rocketed this year as cryptocurrency protects the cyber criminal’s identity, while increasing the bounty for them to expand these attacks. The sad realities in the IT industry may seem scarier each year as companies become increasingly tied to networks and The Cloud for commerce and operations. 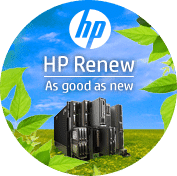 But on the positive side, self-repairing systems and smaller more efficient processors will open the door for more reliable technology going forward. 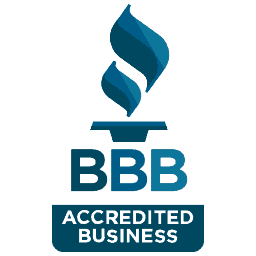 CCNY Tech is a company dedicated to solving IT concerns and delivering the top enterprise hardware and software solutions available. We provide support for the full lifecycle of IT hardware, including the end-of-life disposal. 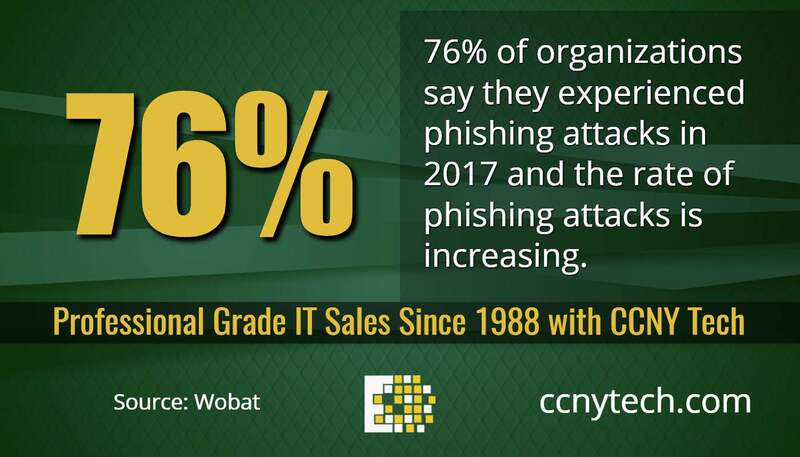 Contact us at 1-800-566-4786 or visit ccnytech.com to learn more about our solutions. 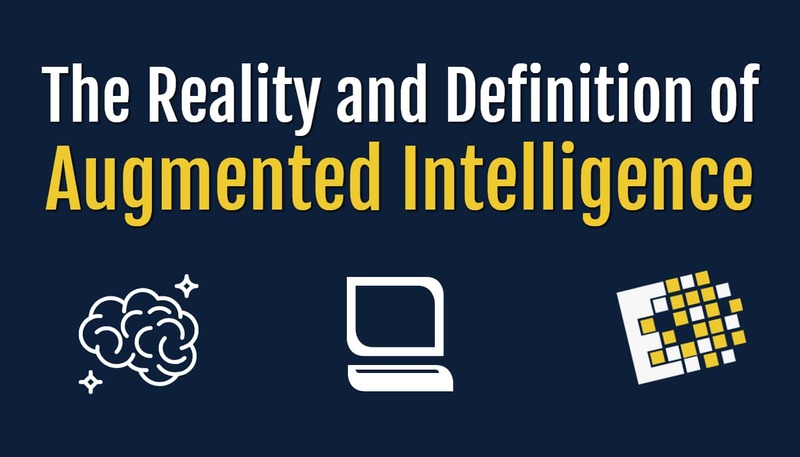 Augmented intelligence is an alternative definition of artificial intelligence that focuses on AI’s helpful role, emphasizing that it is designed to “enhance human intelligence” rather than replace it. The word augmented, which means “to improve,” reinforces the role human intelligence plays when using machine learning and deep learning algorithms to discover relationships and solve problems. using computer information to help humans make better-informed decisions is nearly universally accepted. Researchers and marketers hope the term augmented intelligence, which has a more neutral connotation, will help people understand that AI will simply improve products and services, not replace the humans that use them. 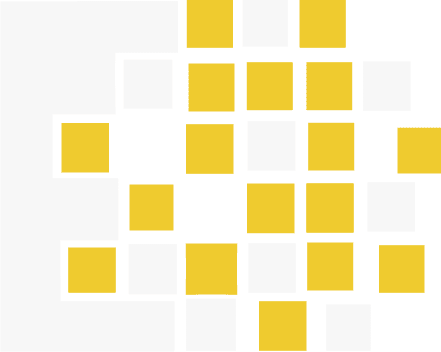 While a sophisticated AI program is certainly capable of making a decision after analyzing patterns in large data sets, that decision is only as good as the information and data points that human beings gave the programming to use. IBM, which has invested heavily in artificial intelligence with the Watson cognitive system, has embraced the label augmented intelligence and has also suggested the term intelligence augmentation (IA), not only to emphasize the supportive role of the technology but also to avoid confusion caused by using AI as an abbreviation. Other alternative lingo includes “machine-augmented intelligence” and “cognitive augmentation”. With the advances in computing power and the ability of machine learning, computers have the ability to make more sophisticated recommendations to humans. In most cases, humans need to make the final judgment and decisions but augmented intelligence gives them the tools hopefully to make better-advised decisions. For solid servers and networking gear, contact our team at CCNY Tech. We can get you a proposal to expand your IT infrastructure and make Augmented Intelligence a real value for you and your company. 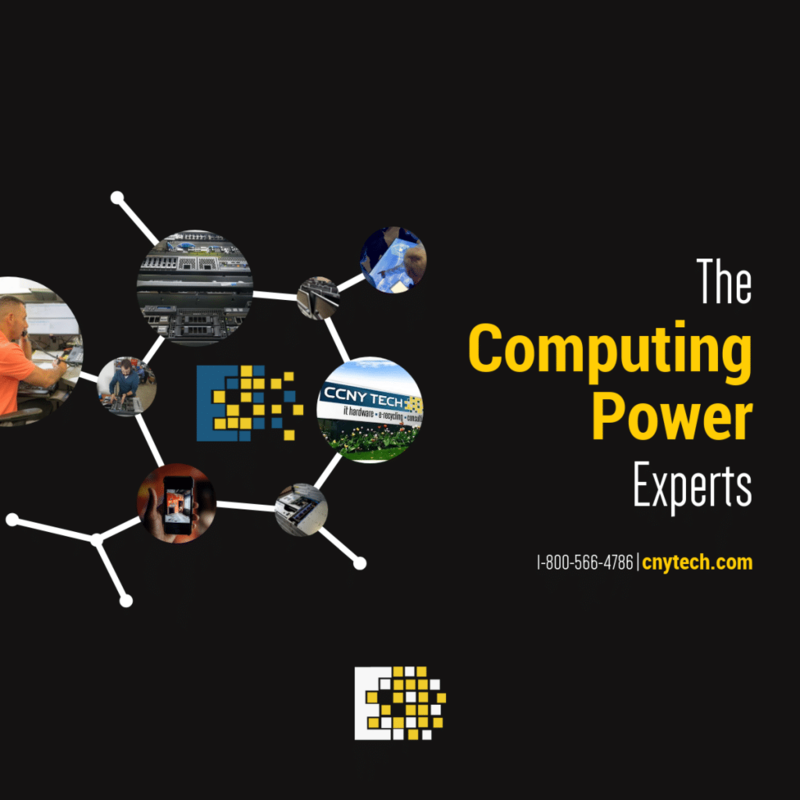 CCNY Tech is a systems integrator with over 30 years experience in the technology sector. 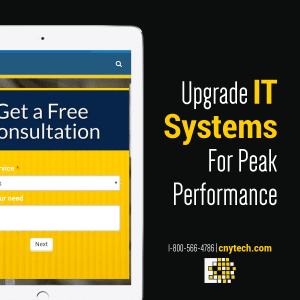 Whether you need upgraded hardware, legacy parts, managed services, or end-of-life recycling of hardware, CCNY Tech has the solution to fulfill your technology requirements.